English 80s synth-pop legends The The are back! 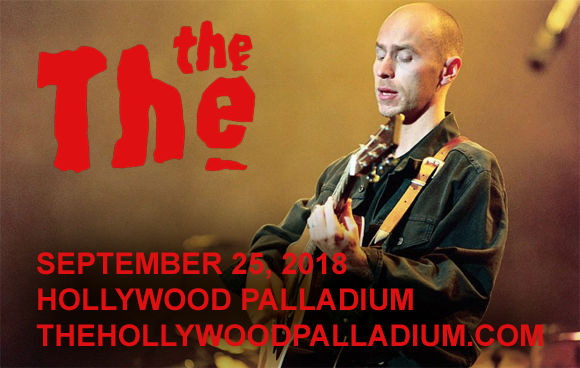 The iconic new wave band, fronted by Matt Johnson, comes to Hollywood Palladium on Tuesday 25th September 2018 on their comeback tour! With rumors of a new album on the way and a brand new line-up, this is a must-see show for any The The fan! The group will be joined by Agnes Obel in support! English post-punk band The The formed in London in 1979. Formed by vocalist Matt Johnson, who has been the only constant band member throughout the band's career. The band's official debut album, Soul Mining, was released in 1983 and has since appeared on several lists of “albums to hear before you die”. The group had several commercially successful albums throughout the 1980s, including Infected (1986), which spent 30 weeks on the UK albums chart, and the top ten follow-up albums Mind Bomb (1989) and Dusk (1993). After a hiatus that began in 2003, The The announced they would be touring in 2018.